Another treat I picked up at the Great British Cheese Festival (http://themightycheeseboard.blogspot.co.uk/2012/09/the-great-british-cheese-festival-2012.html) in Cardiff the other weekend was this Killeen Farmhouse Cheese with Cumin. Its was on the CAIS (the Association of Irish Cheesemakers) stand and made by Killeen Farmhouse Cheeses based in Ballinasloe, Co Galway in Ireland. The cheese they make is very much like a Dutch Cheese (the recipe based on a Gouda recipe), and this one in particular has all the flavour of a good mild Gouda with the added warmth from the Cumin seeds it is made with. An unusual combination, but one that suprisingly works very well without it just becoming a curry flavoured cheese. 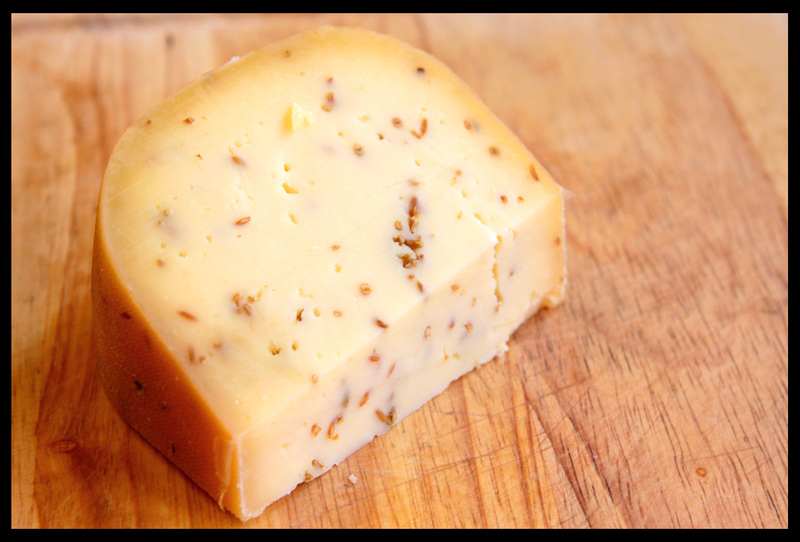 The cumin flavour comes through strongly, but works well with the Gouda style cheese - a lovely Irish cheese!